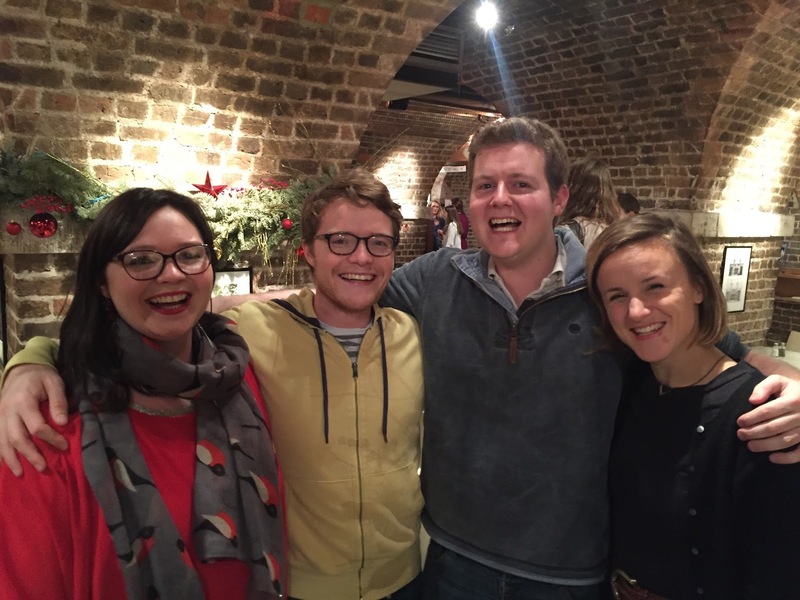 The ‘baroque collective’ Solomon’s Knot gave a performance entitled ‘Christmas in Leipzig’ on Monday 21st December 2015 as part of St. John’s Smith Square’s 30th Christmas Festival. The concert featured music by three composers who consecutively held the position of Kantor at the Thomaskirche in Leipzig: Johann Schelle, Johann Kuhnau and Johann Sebastian Bach. "This concert gives us a picture of musical life in Leipzig some 300 years ago, spanning the consecutive careers of three composers who led the musical activities in the city." The concert explored the links and musical influences throughout this lineage, starting chronologically with Johann Schelle's ‘Machet die Tore weit’. Schelle had been a chorister with Heinrich Schütz in Dresden before moving to Leipzig. He became the Thomaskantor in 1677 and remained in this role until his death in 1701, whereupon Johann Kuhnau became the next Thomaskantor - until his death in 1722. Johann Sebastian Bach gained the position in 1723 and he remained until his death in 1750. Schelle’s ‘Machet die Tore weit’ is a beautiful piece of music. It is scored for Clarino I, Clarino II, Timpani, Violin I, Violin II, Viola, Dulcian and Basso Contiuno. The inclusion of trumpets and timpani was typical for the festival of the First Sunday of Advent in Leipzig, for which this piece was written. The work has several soli interjections and angelic ‘clarino’ moments for the trumpets, which furnish the piece with an air of celebration. The music has a clear structure with orchestral interludes between verses. Chad Kelly played the keyboard continuo, his playing felt spontaneous and improvisatory in the verses and he supported the singers well. He moved freely - sometimes exuberantly - between the harpsichord and the chamber organ as the ‘affect’ of the music dictated. The instrumentalists of Solomon’s Knot had adapted to this late-Renaissance or early Baroque style, consciously avoiding the influence of later Baroque performance practices. The next work to be explored was Johann Kuhnau’s Magnificat in C. It makes significant demands of the vocalists and the instrumentalists alike. The piece includes two Lutheran Chorales: ‘Von Himmel hoch’ and ‘Freut euch und jubiliert’. These well-known chorales were also included in Bach’s E-flat Magnificat BWV 243a, which would be heard later in the evening. ‘Magnificat anima mea’, the first movement of Kuhnau’s Magnificat, is beautifully-set with thematic interplay between the vocalists, trumpets, oboes and violins. The theme passed effortlessly around the ensemble and it proved to be one of the most memorable ‘ear-worms’ of the whole programme. The second movement, ‘Et exsultavit spiritus meus’, was sung beautifully by Clare Lloyd-Griffiths (Soprano), with a staggeringly rhetorical oboe obligato from Leo Duarte. The third movement, ‘Quia respexit humilitatem’ was well-sung by countertenor Michał Czerniawski. Next, the chorale ’Von Himmel hoch’ reverberated through the texture, while excitment from the string-section revealed another level of Kuhnau's brilliance. The trumpets return for the fourth movement, ‘Quia fecit mimi magna’, which has both triumphant and reflective moments - with variety brought about not just by means of the differing instrumentation. This segues into the next chorale, ‘Freut euch und jubiliert’, which utilises just two of the three trumpets in the section. The following movement, ‘Et misericordia eius’ maintained a keen interest from the audience, with excellent work from Thomas Herford (Tenor). ‘Fecit potentiam’ gave the trumpets and the choir a chance to help the excitement grow towards the ‘Gloria in excelsis Deo’, which ends with a short fugal section. The suitably reflective tenor aria, ‘Suscipit Israel’, was sung by Peter Davoren - who charmed the audience. Opening with an a Cappella section, ‘Sicut locutus est’, feels to develop more than the other movements. A sustained cantus firmus underpins the filigree above, which helps to give this movement a large sense of scale. ‘Virga Jesse floruit’ contained intimate singing, along with excellent ‘cello playing from Jonathan Rees. Alex Ashworth (Bass) added a certain amount of gravitas to the penultimate movement ‘Gloria Patri’ before the final movement ‘Sicut erat in principio’ reintroduced the feeling of celebration, as it was in the beginning. The writing style for Clarino I, Clarino II, Clarino III and Timpani in Kuhnau’s Magnificat in C provides further evidence of an excellent trumpet playing tradition in Leipzig. Johann Sebastian Bach’s Magnificat [in E-flat] (BWV 243a) followed the interval. This, Bach’s original version of the Magnificat was written to be performed on Christmas Day in 1723. Though the later Magnificat [in D] (BWV 243) has become the most widely-known version now, it is fascinating to reason why Bach made changes when he revisited and revised this work. There is no ‘Virga Jesse floruit’ in the D version. There are significant changes in instrumentation too. Recorders play the ‘Esurientes implevit’ (flutes in the later version) and a slide trumpet is required to play the sustained passages in ‘Suscepit Israel’ (oboe in the later version). The trumpets play an interjection in the opening movement which is omitted from the trumpet part in the D version and given to the flutes. The Lutheran chorales are also seemingly omitted in the later setting, and the E-flat version has a melisma on ‘locutus’ in ‘Sicut locutus est’ instead of the repetition ‘Sicut locutus, locutus est’ that we hear in the D version. It is interesting to note these differences (these are just the ones that I have noticed) and to wonder why they were made. The main difference in the first trumpet part is the requirement of a slide trumpet in ‘Suscepit Israel’. I used a replica (made by David Staff) of a slide trumpet from 1651 by Huns Veit of Naumburg. Naumburg is just 50km south-west of Leipzig and it is close to Weißenfels, itself an important centre for trumpet playing. The photograph below is of one of the two surviving Veit Trumpets (the other is partially obscured in the background). The slide of the trumpet is a long, single tube attached to the mouthpiece. It essentially looks like a long mouthpiece shank, along which the whole corpus of the instrument can slide. 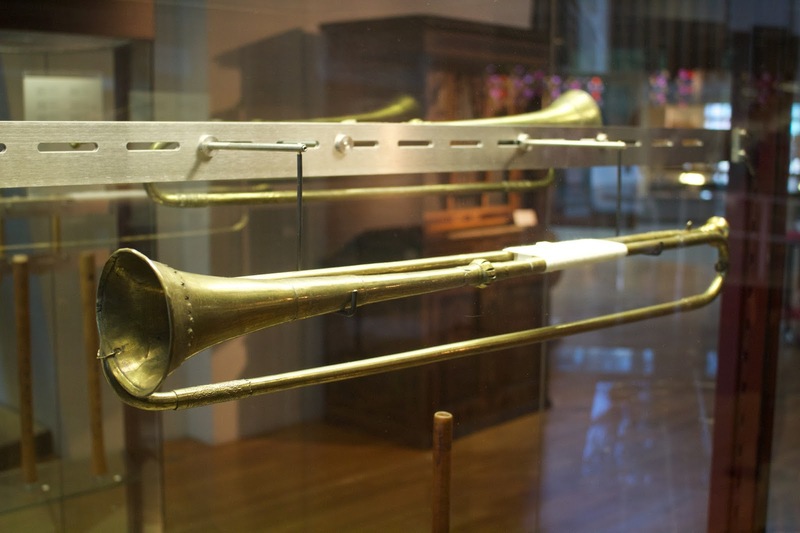 This type of instrument had been used particularly prominently in Leipzig. “the admirably restrained performance of the chorale by the trumpeter". Solomon's Knot gave an excellent rendition of the E-flat Magnificat, after which the sizeable audience of St. John's Smith Square filled the auditorium with enthusiastic applause on all sides of the orchestra. The concert received positive reviews, including one from John Allison of The Telegraph who awarded it 4-stars - applauding ’playing that flowed wonderfully’. "Solomon’s Knot played with assurance and zeal with Rosemary Toll on the drums and celebratory trumpets played by Russell Gilmour, William Russell and Gareth Hoddinott..."
There was a celebration in the crypt area beheath St. John's Smith Square after the concert and the orchestra and soloists mixed with several of the audience members. We also reaslied that Solomon's Knot had a number of contempory alumni from the Royal Northern College of Music Baroque Orchestra, so we deicided to have a photograph together to send (along with a Christmas greeting) to our former Baroque Orchestra leader and mentor Polly Nobes.